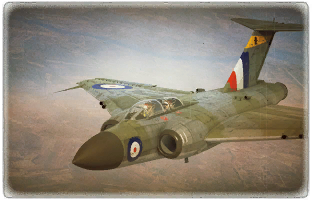 The Javelin F.(A.W.) 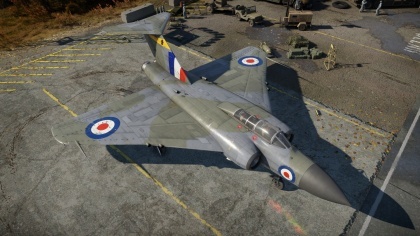 Mk.9 is a rank VI British jet fighter with a battle rating of 9.0 (AB/RB/SB). It was introduced in Update 1.85 "Supersonic". ? ? 15 000 ??.? ??.? ??.? ??.? ??? 1 035 407 540 ~?? ~? < 720 < 600 < 620 > ??? The Javelin F.(A.W.) Mk.9 is equipped with an AN/APS-21 search radar, as well as an AN/APG-26 target tracking radar. Both radars are located in the nose of the aircraft. Is equipped with the AN/APS-21 target detection radar, with the best range of any airborne radar in the game; as well having an AN/APG-26 tracking radar. This page was last edited on 6 April 2019, at 08:21.